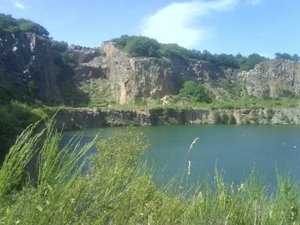 It is an old stone quarry from the 1970's. The lake has a very special opaque color, and thus the name. It is a very beautiful area near "Hammeren".